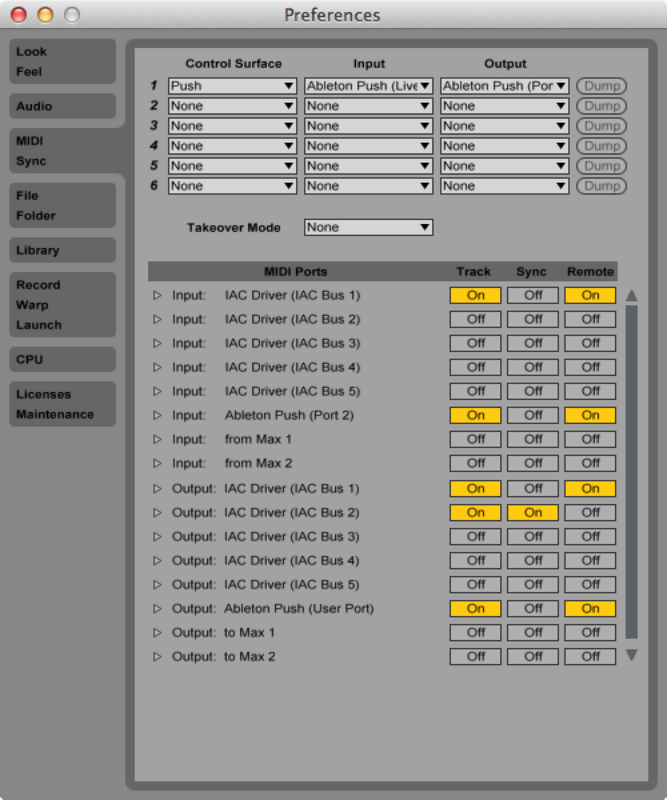 A simple linear sequencer for Ableton Push. I will be using this as a template for more complex devices. Used in conjunction with the PathMIDI.Receive. 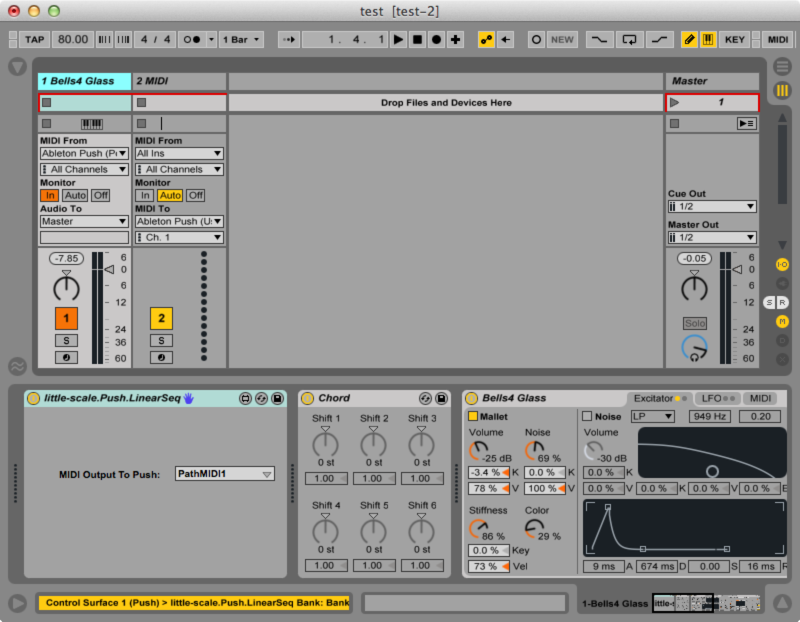 In Live preferences, set the Ableton Push (Port 2) Input to Track On and Remote On. Set the Ableton Push (Port 2) Output to Track On and Remote On. Create two MIDI tracks. Add the Push.LinearSeq device and a virtual instrument device to the first track. Set the 'MIDI Outut To Push' to PathMIDI1 in the Push.LinearSeq device. Set the first track to 'Monitor In' mode. 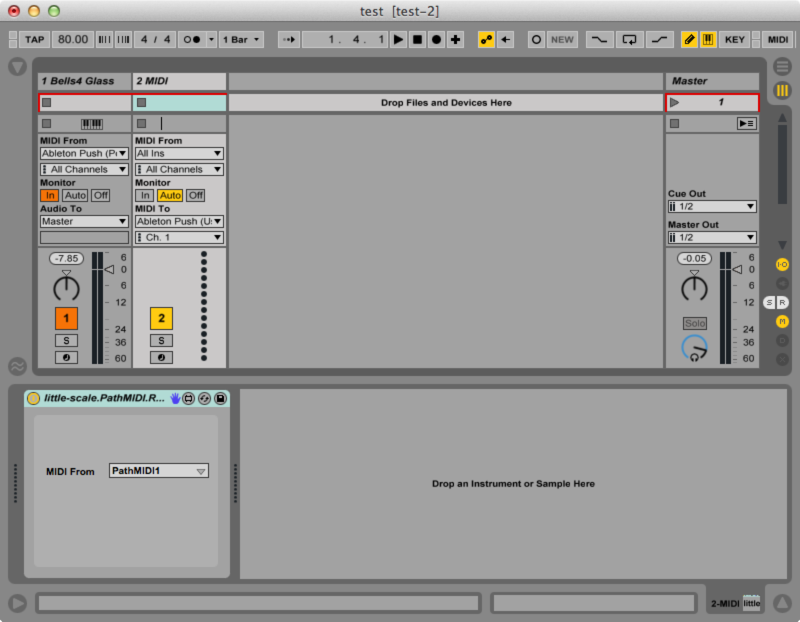 Set the MIDI From device to 'Ableton Push (Port 2)'. Add the PathMIDI.Receive to the second track. Set the MIDI from to 'PathMIDI1' in the PathMIDI.Receive device. Set the MIDI to device to 'Ableton push (User Port)'.